Tomorrow sees the first unveiling of IBM Notes/Domino V10. 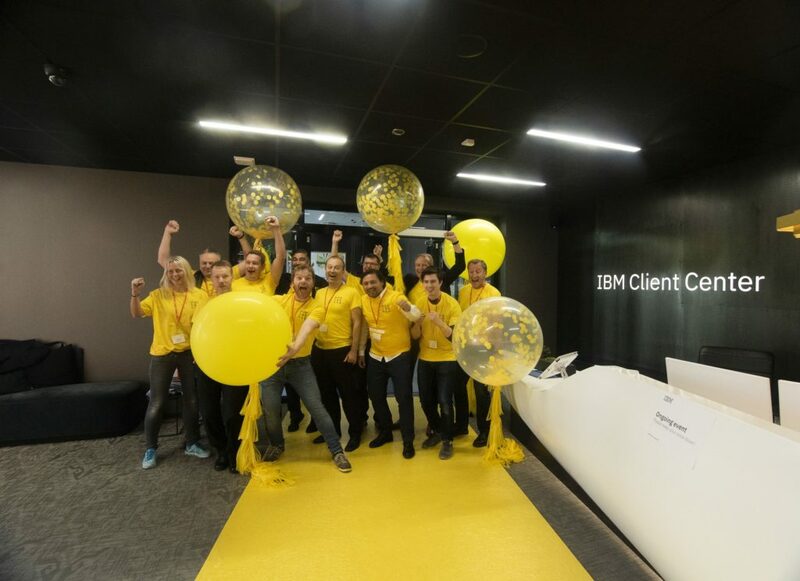 Personally I’m really looking forward to it and on October 23rd we will have our own unveiling in Norway, arranged by us in the Norwegian IBM Collaboration Software Group (ISBG). 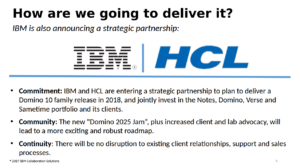 Now that HCL has taken over the development of the the IBM Collaboration Software portfolio, they have started slowly revealing their plans for the Domino platform. 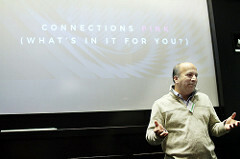 The conference IBM Think was held in Las Vegas from March 19th to 22nd. Over 30 000 people were there, and the conference covered subjects like collaboration, IBM Connections, blockchain, cloud, encryption and artificial intelligence. 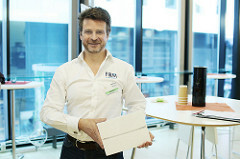 As I’m an IBM Champion for ICS and the leader of the Norwegian ICS usergroup (ISBG) I was mostly interested in the portfolio of IBM Collaboration Solutions. As I wrote back in October 2017, HCL has taken over the development of the ICS portfolio, except for IBM Connections, while IBM will still be handling sales and customer contact and support. The most surprising revelation that came out of this is that we will get a Notes/Domino v10, and IBM and HCL has already started delivering demos of what they have promised so far. However, even that news was eclipsed by the demo showed at Think. You can now actually run Notes applications on you Ipad, without any development, what so ever, needed! You can simply run them on the Ipad, and all functionality will work as if you were in the Notes client. This includes Lotusscript and the Formula language! It really seems like IBM & HCL has set a pace we haven’t seen from IBM since…since… a long time. They are even going to do marketing! Now, if this only could be followed by actually talking to and meeting with customers, we might have something. Anyway, that video is awesome, and I can’t wait to show it to the Notes/Domino customers I have left. 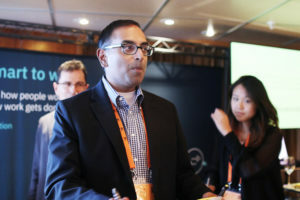 As for Connections, on the other hand, it was peculiar how little news that came out of IBM Think. Last year, everything was all about IBM Connections Pink. 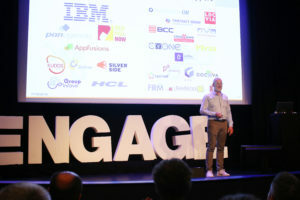 This year there were a few sessions about IBM Connections Engagement Center, but so far I haven’t seen any announcements about how the development of IBM Connections is coming along. 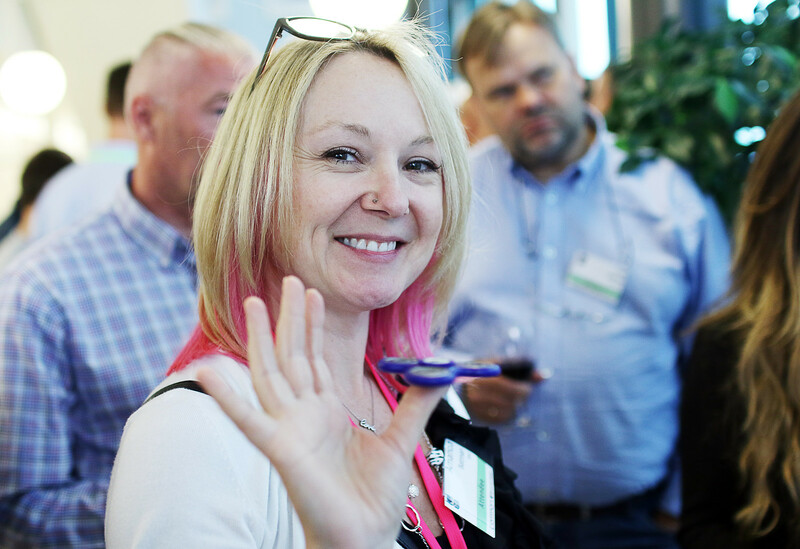 It’s no secret that when the Norwegian user group have seminars or webinars about Connections, the interest from our members is considerably lower than when we have presentations about Notes/Domino. So I’m wondering about what will happen on the platform. My guess is that it won’t be long before HCL takes over Connections as well. Especially since IBM seems to be focusing everything on Watson Workspace and Watson Assitant. Not to mention quantum computing and big data analysis. Time will show. Anyway, the video is just awesome. I can imagine the applause in Vegas when it was demoed. 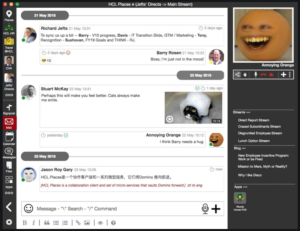 IBM and HCL, who took over the development of the old IBM Collaboration Solutions portfolio a few months back, minus IBM Connections, held a joint webinar today to present their plans for IBM Notes/Domino v10. You can see the recording of the webinar here. The people who held the webinar were Bob Schultz, GM IBM Collaborative Solutions & Talent, Andrew Manby, Director IBM Product Management Collaboration Solutions and Richard Jefts, GM/VP HCL Collaborative Solutions. The idea is that contrary to what IBM did before, the whole process towards a finished release of Domino 10 will be transparent. And this is just the first part of the new regime of information. There will be more webinars, blog postings and information sessions at the IBM Think conference, as well as at user group meetings. Jason Gary then did a guest appearance and showed how he used Node.js and the REST API to write and read from a very simple nsf-file. 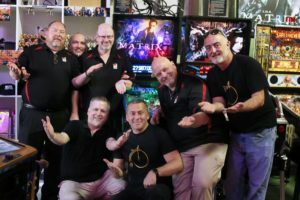 Domino 10 will be released in the second half of 2018. And yes, there will be a beta plan announced. I’ll sign up for it, no doubt. So, what do you think? Will this make a difference? Will Notes/Domino still have a future? Leave your comments and feedback below. I’ve heard since 2002 that IBM Notes and Domino was dead. And while the platform is certainly an endangered species these days, there’s still stuff happening on the Domino front that companies and organisations contemplating on leaving the platform really should pay attention to. IBM has now launched a service that makes it possible for you to upload and run your IBM Notes applications in the cloud. This will become a very important addition to IBM Connections Cloud and SmartCloud Notes. It’s also something a lot of IBM customers and partners have requested for quite some time. The service is called IBM Domino Application on Cloud (DAV) and all maintenance and servicing will be done by IBM. Ed Brill announced this in Tokyo during IBM Notes/Domino Day (isn’t that a wonderful name for a day?) on Tuesday September 19th. The service will be launched in October, so set your clocks! DAC will be using CENTOS and Docker. The latter is something IBM has said they will be relying heavily on in the future. This will therefore be included in FP10 for IBM Domino 9.0.1, which will be released soon. The data centers will be placed in the US, Europe and Pacific Asia (Japan). Australia, China and other locations will follow suit. To use this service you must have your own IBM Notes/Domino license. The maximum size of any given .nsf file will be 25 GB. 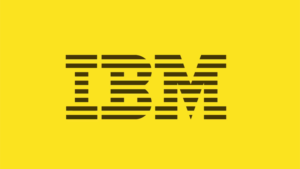 Thus far IBM has only offered a cloud solution for email and calendar, via IBM Verse, så a lot of people began cheering when these news were unveiled. The Norwegian IBM Collaboration Solutions User Group’s (ISBG) spring meeting was held at PwC in Oslo on June 7th and 8th. Around 60 ISBG members, presenters, IBM-partners and people from IBM were there during the course of those two days. Wednesday started with Roger Johannessen wishing everyone welcome for the very last time as leader of ISBG. From there we moved straight on to Mac Guidera’s keynote. His focus was on how employees today are flooded with too much information. It all just turns into noise. He therefore talked about how IBM’s collaboration solutions can, with the help of cognitive technology, can filter, delegate and prioritise for you. The systems will lift up what’s important to you, so that you can focus in a much better way. IBM’s solutions will also learn how you work and will help to organize your working day for you. He talked about IBM Verse, IBM’s web and mobile based mail solution that runs on Domino. You can read his entire presentation here. Morten Myrstad from The New Company has just become an IBM partner. The first thing he talked about were weather the rumors about the death of the corporate intranet were exaggerated or not. His point was that the focus should be on people and a change in the company’s culture. You should choose your tools based on this. The keywords are: Management, solutions and learning. 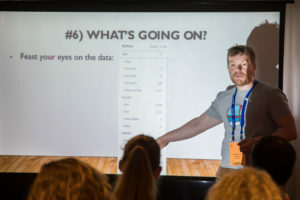 He did a presentation of various solutions for collaboration, like Sharepoint, IBM Connections, @Workplace, Slack, Google Apps, Office, Episerver and some others. It was all a very good walkthrough the various solutions strengths and weaknesses. You can see Morten’s presentation here. Because of a misunderstanding on part of the soon to be leader of ISBG, Hogne Bø Pettersen, the two next presentations had to switch places. The next presenter was therefore IBM Champion Oliver Busse from We4IT. The techies among the audience loved this presentation and welcomed everything he told about how you can use IBM’s Watson technology in your IBM Notes and web applications with open arms. You can see his presentation here. Demo not included. The world’s fastest growing IT industry is right now sophisticated attacks on and hacking of companies’ IT systems and infrastructure. Most of the time you get hacked without realizing it until a year or so later. Espen Skjøld from IBM Norway talked about the challenges surrounding this. He also spoke of IBM’s service QRadar Advisor, which also uses IBM’s Watson technology to evaluate and validate security measures in a company. This was a very interesting presentation many people liked. You can read it here. 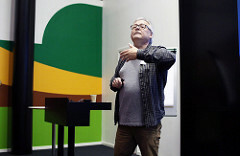 After lunch, it was time for Arne Sigurd Rognan Nielsen. He is a former IBM employee. These days he runs his own consultant business called Brainworker. He has worked with a lot of big customers and have helped them to start using collaboration solutions in an effective way. In his session he talked about how he has done this, and via examples from various customers he demonstrated that what’s important is the knowledge and attitude, not the technology. You can read his lecture here. 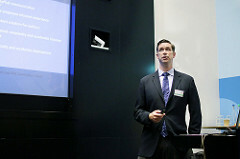 Next one out was Felix Binsack, IBM Champion and owner of the TimeToAct Group, which were gold sponsors. His company has had great success with their product XCC, which they’ve now sold to IBM. It has now changed its name to IBM Connections Engagement Center (ICEC). This product makes it much easier to transition IBM Connections into a well functioning intranet which can also act as a digital workplace for both web, mobile and pads. Unfortunately we never received his presentation. Thomas Sigdestad from Enonic held a fantastic lecture about progressive web apps. The trend is that the number of mobile apps are decreasing, and instead people develop web apps. This means web web solutions that consists of one dynamic web page, which acts like an app, and which also works offline. In his presentation he showed several examples, and it’s also a great presentation for Star Wars fans. You can download it here. Bo Holtemann from IBM Denmark was next. He talked about the partnership between IBM and Cisco. This means you can now integrate WebEx with IBM solutions like IBM Connections. A lot of people have wondered whether this means that IBM’s own video conference solution, Sametime, has been abandoned. But this was refuted by IBM. The partnership means IBM will be selling Cisco’s WebEx solution for video conferencing. IBM will then take their cognitive technology into this platform. This will make it possible to get your own personal assistant and other helpful functionality. You can see all the details here. And then it was time for speed sponsoring where everybody had to visit one of the sponsor stands. The sponsors then had two minutes to present themselves and their products, before you moved on to the next one. This was followed by the team competition, which included an audio play, questions, bribing the judges and the building of balloon towers. After this it was a short break before the magical dinner with prizes, speeches, thank you gifts for the board members who are now stepping down and not least Rune Carlsen’s incredible magic show. The next day everybody was up and looked fresh and awake(?) to receive some information from the ISBG board before Barry Rosen from IBM gave his keynote about IBM’s plan for the IBM Notes/Domino platform. He talked about the fact that after you have upgraded to version 9.0.1, there will be no other versions. After this, what you will get are feature packs. These will include upgrades, bug fixes and new functionality. He also presented a string of new functionality that has already arrived for the platform, and what is expected in the near future. He also presented the fact that you now can choose to use IBM Notes, IBM Verse or Microsoft Outlook with Domino. Both on premise and in the cloud. 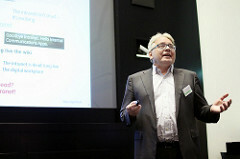 Uffe Sørensen then took over and he talked about the “bring your own client”-strategy. It all turned into a very passionate discussion about Notes/Domion. It’s obvious that a lot of people still have great love for the platform. Read the presentation here. It was then time for another IBM man. This time it was Miki Banatwala. He told us about IBM Connections Pink and what that platform really is. The idea is that after upgrading to IBM Connections 6, there will be no more new versions of IBM Connections. The idea is to do agile developing and push one update at a time. This is just like Facebook does it. This means you can add functionality and upgrade Connections without the need of creating a big project out of it. Read all about it here. Andreas Rosen was next up. He talked a little bit about the German user group and what they had done to increase participation from their members. After his he talked about Salesforce, which is a platform a lot of Notes developers have moved to. This is not strange, because a lot of the principles of the two platforms are very similar. Rosen told how you can integrate Salesforce with Connections, Domino and the OnTime calendar. Read his presentation here. The next German up was Peer Prieser. He talked aobut how We4IT can help you analyse, develop and modernize your Domino applications. He also talked about how you can use Watson here. Download his session here. 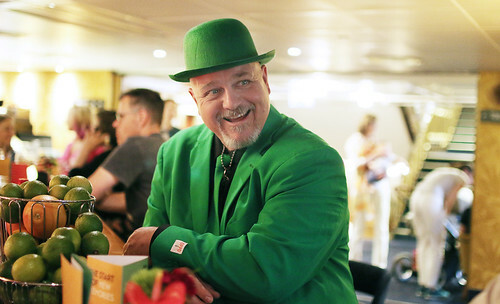 Paul-Christian Garpe from Peda, which were this year’s Platinum sponsors, was next. He talked about the new directive for the protection of personal data that the EU will introduce in 2018. Even though Norway isn’t in the EU, we will be affected by this too. He talked about how IBM’s technology can help you in the preparation for this. Download the presentation here. It was now time for a delicious lunch again, before Anton Löwmar from Edgeguide in Sweden told how their technology could be used to develop and modernize your Domino applications. He also talked about how, with the help of their product, you could integrate data from Domino with Sharepoint and other platforms. Read the presentation here. Kjetil Herpaasen from Item was the last man out. He did a session that especially the developers in the audience were ecstatic about. He gave us an introduction in Swagger, OSGI-plugins and REST-services. Everything done on the Domino platform. Read his presentation here. It was then time for the annual ISBG meeting where a new board was elected. I now became the leader, after serving as second in command for the past year. It was then time for a Kahoot quiz. Since it was about Star Wars, I won, but I couldn’t get a price since I’m a board member. There was also prize drawings, and when that wrapped, this year’s spring meeting was over. The evaluation and feedback afterwards have been great. And the message is clear: We should continue with the spring seminar in the future. In what fashion, remains to be seen. The new board will start working this autumn on what we should do to move forward and meet the drop in attendees. But I can assure you we are motivated!